UK retailer Waitrose has launched 14 new vegan products, including a sandwich, fishcakes, and pizza. The new items join Waitrose's existing vegan line launched in October last year, which features vegan mac & cheese, Nut Roast, and Beet Wellington, among other dishes. According to the supermarket giant, searches for 'vegan' on its website have doubled over the last 12 months as more customers opt for animal-free options - the expanded range will cater to that growing demand. New products will include grab-and-go items like the MLT Sandwich with mushroom, lettuce & tomato, and the Pickled Dill Carrot & Tabbouleh Salad with beetroot houmous. In addition, shoppers will be able to pick up fish'less'cakes, Italian Inspired Veggie Balls, Barbecue Jackfruit Pizza, a Jackfruit Burger, and Beetroot Risotto. "The growing appetite for meat-free dishes has been reflected throughout the year with rising sales of vegan and vegetarian products, as well as the introduction of exciting and innovative new products to the foodie market," Waitrose & Partners Chilled Vegetarian and Vegan Buyer, Chloe Graves, said in a statement. 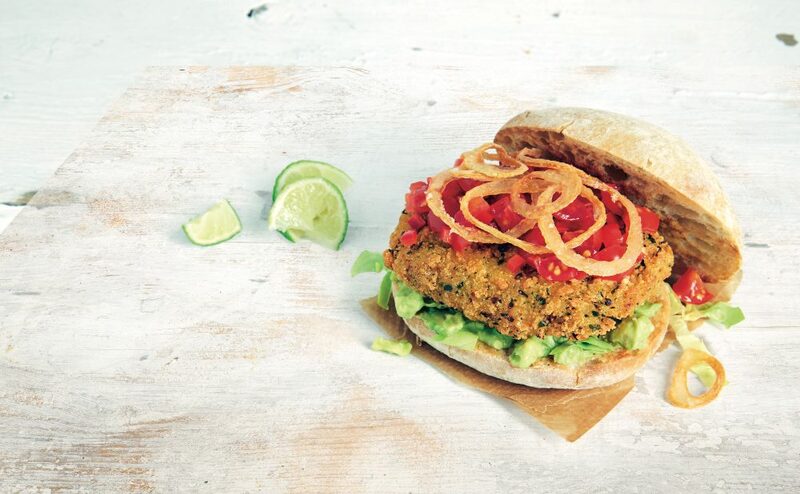 "We're excited to be a part of growing demand for vegan products and lead the way in creating, developing and supplying innovative ranges that delight customers. "Our flavor-packed products range from complete meals for a quick and easy dinner, to the staple vegan must-haves."